HOMILY FOR THE TERCENTENARY OF THE DE LA SALLE ORDER. Today we take education for granted in that it is so readily available in the developed world. It has been said “to defeat a tyrant you need an army but to defeat tyranny you need education. There is only one way to change the world and that is through education”. The young must be taught the importance of justice, righteousness, kindness and compassion. The real change in human behaviour is the work of many generations. Confucius, a Chinese teacher said “If you plan for a year, plant rice. If you plan for a decade, plant a tree. If you plan for posterity, then educate a child”. This is the field in which John the Baptist De La Salle excelled and he passed on the torch to his brothers who courageously took up the challenge. I extend a very warm welcome to Brother Damien Kellegher of the de La Salle Brothers and all the brothers and friends of the De La Salle Order here at Knock today as we celebrate the Tercentenary of the death of St. John the Baptist De La Salle. The Life of St. John Baptist De La Salle. Born at Reims in France in 1651 to a wealthy family, he studied for the priesthood and was ordained at the age of 27. At that time few people lived in luxury; most of the people were extremely poor peasants in the country and in the towns. Only a few could send their children to school; most children had little hope for the future. Moved by the plight of the poor, St. John the Baptist de la Salle was determined to put his own talents and advanced education at the service of these children. He had a great concern that teachers were inadequately prepared for the task of teaching so he invited teachers to live with him and trained them. His pioneering work in Education. His enterprise met with opposition from the ecclesiastical authorities who resisted the creation of a new form of Religious Life, a community of consecrated laymen to conduct schools. In spite of all this the de La Salle Brothers succeeded in creating a network of quality schools throughout France where religious instruction was integrated with secular subjects. 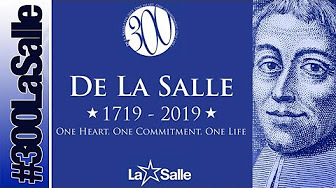 John Baptist de la Salle was a pioneer in founding training colleges for teachers, reform schools for delinquents, technical schools and secondary schools for modern languages, arts and science. He is patron of all those who work in the field of education. He inspired others how to teach and care for young people, how to cope with failure and respond to frailty with compassion; how to affirm, strengthen and heal. In the year 2017 there were 3,800 de La Salle Brothers and 92,000 lay and religious colleagues worldwide, serving as teachers, counsellors and guides to over one million students in over 1,500 Lasallian educational institutes in 82 countries. On 7th April 1719, Good Friday, he went to his eternal reward. John Baptist de la Salle is recognised as one of the greatest practical pioneers of education for ordinary people, first in France and later in the rest of the world. His imaginative ideas, the schools he founded and the reforms he made in teaching completely changed the educational system. Today’s gospel deals with the humble attitude that should prevail in the community, especially in relation to its care for more vulnerable members. Two of the disciples query about the greatest in the kingdom of heaven. Jesus subverts the concern for rank by making a child-like lowliness an entrance requirement for the kingdom. In a culture where children were doubtless loved and valued within their families but had no social value or status whatsoever, Jesus is making a stark challenge to the greed for power that flourishes in any community. When Jesus says “whoever welcomes one such child in my name, welcomes me”, the perspective begins to shift from one’s personal attitude of humility towards the kind of consideration for lowly members of the community that such an attitude should promote. The motivation is profound, Jesus himself is present in the lowly person symbolised by the child. This Gospel underlines the enormous responsibility on those entrusted with the care and education of the young. Legacy of the De La Salle Brothers. De la Salle Brothers were prophets in so many ways, a way ahead of their time. Without them, my hometown of Castlebar would have been educationally very deprived. Jesus, however, reminds us that the prophet is frequently rejected by the people of his own town and largely by those who have benefited most from them. The de La Salle Brothers, in common with many Religious in our own day, have experienced the prophet’s rejection in recent years in a very painful manner. Some would like to read the story of Religious Life in Ireland and indeed of the Church in general as one of unmitigated evil and abuse. No doubt there was abuse and it was right that it should surface, be exposed and condemned. But that abuse was a very small part of the whole story. It was an aberration and an exception. We are reminded of Shakespeare’s Marc Antony who said “The evil that men do lives after them, the good is often interred with their bones”. This is not to happen with the de La Salle Brothers. The enormous good that was done by them, quietly, unselfishly, generously and consistently, by so many devoted and dedicated Brothers must never be forgotten. In the 2nd Reading from the Letter to the Ephesians, certain virtues are underlined, virtues which characterised the life of St. John the Baptist: humility, gentleness, patience and forbearance. The author underlines the importance of unity and diversity. In that context he reminds the people that they have been given gifts: apostles, prophets, preachers of the gospel, shepherds and teachers. In many respects these offices were combined in the life and ministry of the man and the saint that we celebrate here at Knock Shrine today, John the Baptist de la Salle who gave his life so the young could progress to adulthood and would not be swayed by “every wind of doctrine” which poses a threat to our unity as the Body of Christ.  Today we acknowledge and thank God for their lives, for the way in which they have enriched the lives of so many people here in Ireland and across the world.